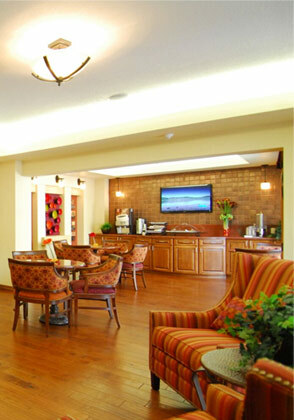 Excellent services and amenities make life easier at Wooddale Village. Spacious floor plans provide the cozy comforts of a home without the maintenance of a house. With 24 hour emergency assistance there is peace of mind knowing there is always help when needed. Wooddale Village offers excellence in dining from their talented “five star chef” Charles Macklin and his well trained staff who proudly prepares a variety of fresh, nutritional menus. Located in Sun City, Wooddale Village is within minutes of Grocery stores, drugstores, shopping mall, healthcare, banking and Sun City recreation centers. Wooddale Village has a very comprehensive transportation service that allows residents freedom. Weekly housekeeping assures that apartment homes stay clean and comfortable. At Wooddale, our staff is at your service. 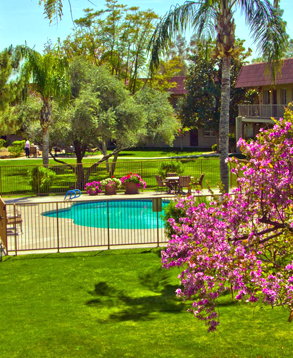 Contact us for more information or to schedule a complimentary lunch and tour of our senior apartments in Sun City, AZ.